Don’t toss your inkjet or laser out the window — you need that printer, after all! Here’s how you can channel your inner tech support rep to repair that which has failed you. Solution: Rev up printer performance–and save ink in the process–by reducing print quality for everyday output. 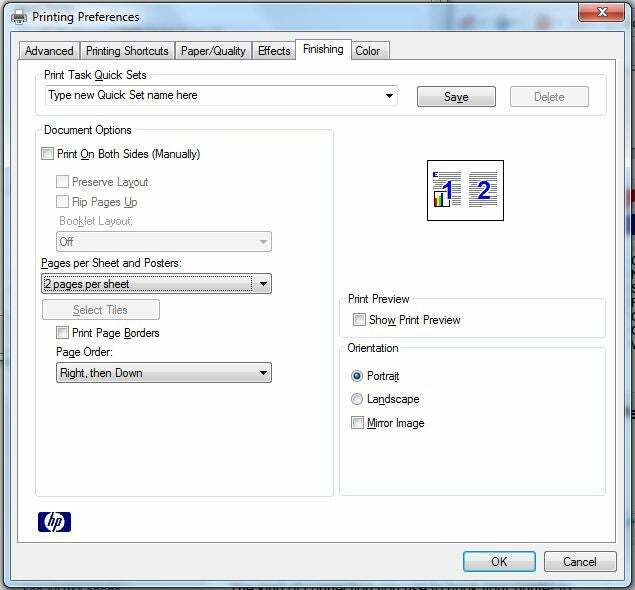 While printer settings vary by model, here’s how to switch to draft-printing mode in most Windows apps. 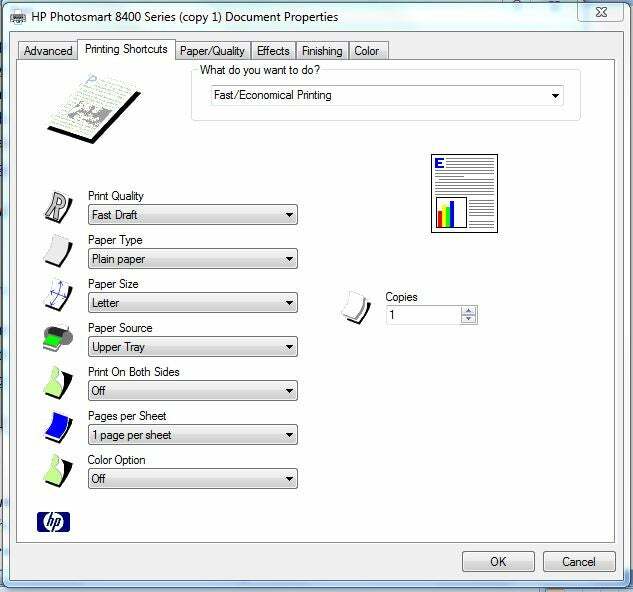 Select Print and Properties, and then look for a setting that reduces print quality. 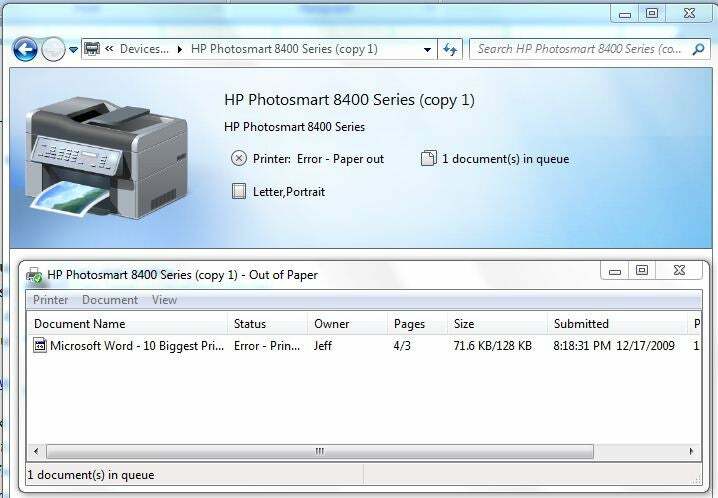 With the HP Photosmart 8450, for instance, change the default print quality setting from Normal to Fast Draft (click screen-shot at right). Other speedup suggestions: Print pages from websites without graphics, and add RAM to your printer, if possible. Read “Speed Up Everything” for more tips. Solution: PC World has written a lot about the printing industry‘s sneaky practices over the years. To wit: They snare you with dirt-cheap printers sold at or below cost, and then stick it to you later with ultra-pricey consumables. 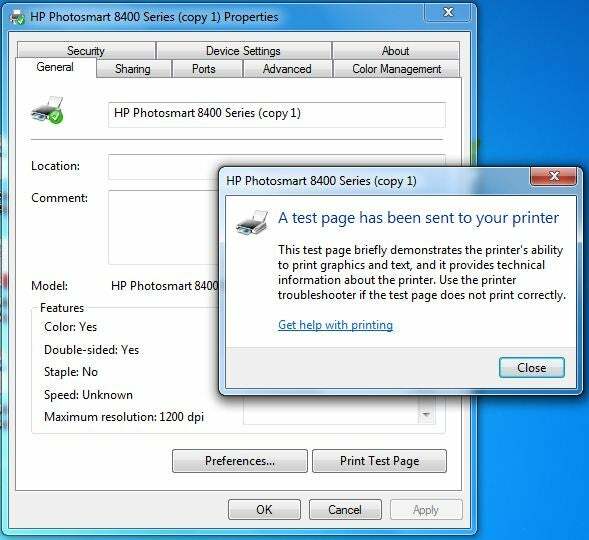 Solution: For some mysterious reason, Windows may select a new default printer–the one it automatically sends print jobs to. (This happened to me when I upgraded from Vista to Windows 7.) 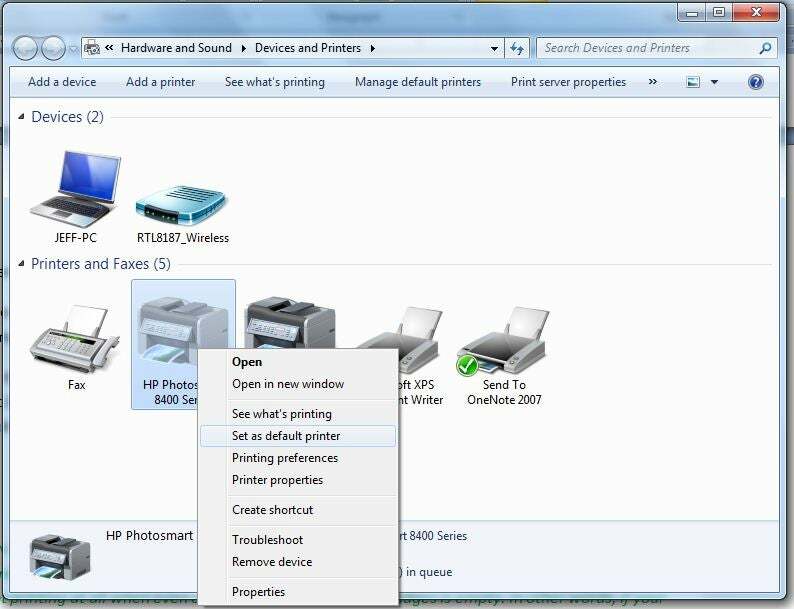 To fix this glitch in Windows 7, click Start (the Windows icon in the lower-left corner of the screen) and select Devices and Printers. Under Printers and Faxes, right-click the printer you want to make the default, and select Set as default printer. If you’re using earlier versions of Windows, these steps vary a bit. Here are instructions for Windows XP and Vista users. Solution: You may be right. Printer out-of-ink messages are notoriously unreliable. The good news: You can try various hacks to get around those ink cartridge controls. We’re not suggesting that all, or even some, of these reader tips will work with your printer, but they’re worth a try. One tip reveals how to reset ink cartridges for various HP printers. And avideo on this page shows how to revive an “out of ink” Epson cartridge. If you’re feeling adventurous, check them out. Solution: To get the best performance from a network printer, it’s hard to beat a wired, Ethernet-cable-to-router connection. Wireless printing may be more convenient in many homes and offices, but it has its limitations. Since Wi-Fi speeds slow down with distance, you’ll want to place your wireless printer as close as possible to the router. Also, make sure your Wi-Fi printer or any wireless print server it connects to supports the 802.11n spec, which can rival the performance of 100-mbps Ethernet. First, have her see if the printer is plugged into a wall outlet. (Don’t laugh. It’s fairly common.) Second, she should make sure there’s paper in the tray. And third, have her check the cable (probably USB or Ethernet) that connects the printer to the PC or router. Thistroubleshooting basics article has more advice. Solution: To cut costs on some printers, vendors often include low-capacity or flimsy trays. In her article “Is Your Printer Stealing From You?“, PC World’s Melissa Riofrio lists seven printers with notoriously cheap paper trays–each from major vendors such as Brother, Dell, Epson, HP, Ricoh, and Xerox. Shame on you guys. So what can you do? Before buying a printer, examine the paper tray carefully. If it looks like it’ll break after the first sideswipe, it’s probably wise to get another model. If the tray is too small for your printing needs, see if there’s a higher-capacity option. Or you could try this guy’s approach to fixing a busted printer.